Gillingham have released eight players following their promotion to League One, and offered new one-year deals to two of their play-off winning side. Nicky Southall, who played 375 games for the Gills, Gary Mulligan and Andrew Crofts have been let go and Albert Jarrett has not been given a new deal. Jarrett will be given the chance to earn a new deal in pre-season. Keeper Simon Royce and defender John Nutter are awarded new deals, and the club are in talks with Andy Barcham. Andy Pugh has also secured an extra 12 months, while Luis Cumbers and Tom Wynter have got contract extensions. Sean Clohessy, Charlie Howard, Chris Kiely and Tayler Thomas complete the eight-man clear-out. None of the released players are big surprises, with only Southall involved in recent weeks. 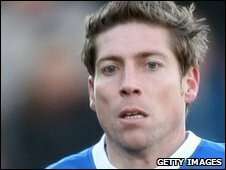 The 37-year-old played his 375th and final game for the Gills when he came on as a substitute in the play-off semi-final second leg against Rochdale at Priestfield. He was dropped for the final against Shrewsbury at Wembley in favour of Adam Miller. Striker Mulligan was widely expected to leave last summer, but opted to stay at Priestfield for another season. Former captain Crofts, who was born in Medway, skippered the side at the start of the season but fell out of favour and ended the season with Blue Square Premier side Wrexham. Clohessy was brought to the club by former boss Ronnie Jepson but failed to make it into his successor Mark Stimson's plans, and ended the campaign at Salisbury. Howard made just two appearances for the club, while first year pros Kiely and Thomas never featured.